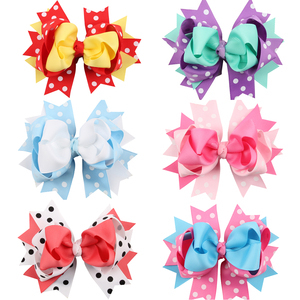 Toddler Baby Hair Clips Grosgrain Ribbon Lined Alligator Clips 1.9"
Trade Assurance St Patrick's day ribbon hair bows with metal alligator hair clip Product Detail Sample time 1-2 days colour rainbow Usage Boutique hair bows Materials Composition 100% Polyester Ribbon Materials Ribbon, Fabric, Velvet, Chiffon, artificial flower, felts Payment T/T,Wester Union, Paypal, L/C Lead Time 1) Samples : 1-5 days 2) Small order: 5-15 days if less than 1000pcs Occasion For Travel,Party,Daliy life,Wedding,Christmas,Easter,Halloween OEM/ODM OEM/ODM Friendly Port Xiamen/Fujian,China Product Keywords St Patrick's day ribbon hair bows with metal alligator hair clip 196Colors Related Product Logistic Management About Esun The Company Shows Certificate 1,Q: Why choose Esun A: 1, Manufacture Factory 2,more than 200 styles in our stock 3,High Quality and Cheap Price 4,Oeko-Tex Standard 100, REACH SVCH,SGS 5,Pre-sale and After-sale Service 2,Q: Can I get some samples9 A: Yes,sample freely,and only to pay the freight fee 3,Q:Can you do as OEM & ODM9 A:Yes, we do as your customized color / size / fabric / design / 4,Q: Do you have some stock items9 A: Yes, you can visit our online wholesale 5,Q: What is the delivery time9 A: 2 days for sample; 7-15 days for bulk goods 6,Q: May I visit your factory9 A: Sure, welcome any time. We can also pick you up at airport and station. 7,Q: If I received the faulty product, what will you do9 A: About the faulty products, we will resend a new one to you or refund full/part money base on the actual situation. Super strong spring for a superior hold. 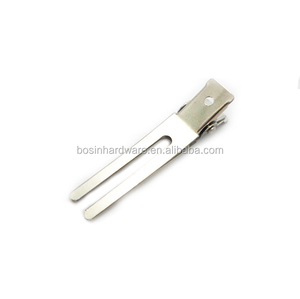 Strong sectioning clip features unique hinged clips. 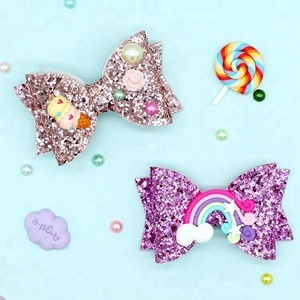 Custom products and packages are available. 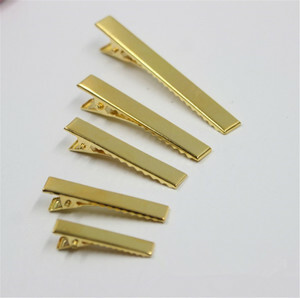 Alibaba.com offers 4,013 alligator hair clips products. About 62% of these are hairgrips, 11% are hairpins, and 7% are hairbands. 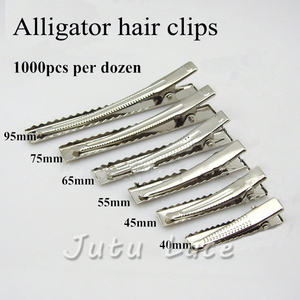 A wide variety of alligator hair clips options are available to you, such as free samples, paid samples. 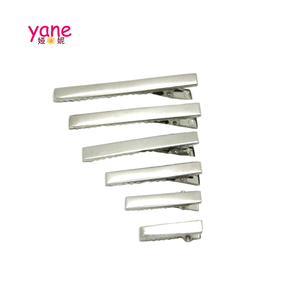 There are 4,013 alligator hair clips suppliers, mainly located in Asia. 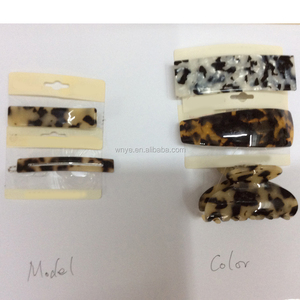 The top supplying country is China (Mainland), which supply 100% of alligator hair clips respectively. 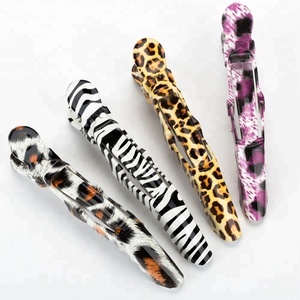 Alligator hair clips products are most popular in North America, Western Europe, and Eastern Europe. You can ensure product safety by selecting from certified suppliers, including 245 with BSCI, 179 with Other, and 156 with ISO9001 certification.